The Financial Times recently published the inaugural UPstanding Leaders’ List, ranking 100 executives in the U.S. and UK who have reached senior roles in business while also championing ethnic diversity and inclusion in the workplace and beyond. Daryl S., VP of Finance for Europe, was ranked No. 29 on the esteemed list. Daryl began his career with Enterprise nearly 30 years ago, and has played a pivotal role in Enterprise Holdings’ European expansion. Throughout his career he has been a passionate advocate of diversity in the business. 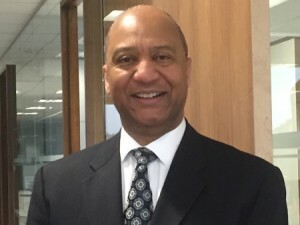 Daryl served on the Minority Supplier Development UK board, which drives inclusive procurement by introducing ethnic minority-owned businesses to public and private sector organizations. Thanks to Daryl’s efforts, Enterprise was recognized with the organization’s first ever Corporation of the Year Award in 2008. This past year, Daryl has been serving on the Race Equality Leadership Board for Business in the Community, the Prince’s Responsible Business Network. This leadership role helps improve employment opportunities for ethnic minorities across the UK. Daryl’s community involvement and leadership within Enterprise exemplifies the company’s commitment to diversity and inclusion and further reinforces the founding value, Our doors are open.